I was thrilled when the news came out that Harper Lee had written a sequel to To Kill a Mockingbird and that it was going to be published. 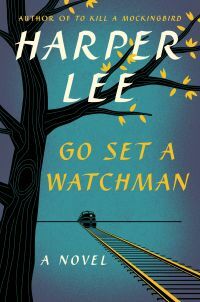 I was even more thrilled and intrigued when I learned that this sequel was actually written before To Kill a Mockingbird but had been abandoned on advice from the publisher in a favour of a new manuscript starring younger versions of Lee’s characters. So Jean Louise the adult had existed before Jean Louise the child. Interesting. I was relieved to read that Jean Louise the adult was just as plucky and fierce as her younger self. Obviously, it is difficult to read the sequel of such a famous piece of literature without having expectations. I loved the book and couldn’t put it down, although it wasn’t a thrilling page-turner like the first. The plot seems to waver in the second half and is replaced by Jean Louise’s train of thought, her inner turmoils and long interior monologues. 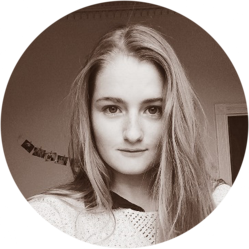 It became a little less about action and more a debate, Jean Louise’s witty and sacrcastic reactions to the subject of racism, and to the fact that as she becomes an adult she is realising that the people she loves are a lot less accepting than she previously believed. After closing the book, I realised it’s not about who is racist and who is not. It’s about Jean Louise becoming her own person, and Atticus, who she puts at the same moral level as God, becoming human, with fault, fears, regrets and weaknesses. It turns out that the famous Atticus supports white supremacy. Atticus, who has always taught his children to be kind and fair, who always stood for justice, is joining white supremist groups and expressing his opposition to having black people in government. In To Kill a Mockingbird, he defended a black man against his white accusers, and although Atticus is a kind man, we realise that Scout’s childhood adoration of him depicted him as liberal, egalitarian non-racist man, when actually in defending this black man he was simply doing his job as a lawyer and making sure justice was served. Although he is not a violent racist, Atticus is a man of his time. What he really is a white southern man raised during a time when black people were surpressed and whose father fought for the confederate side in the Civil War. Atticus is on the side of the law and will defend whoever is right, black or white, but ultimately sees black people as a threat to society. His ignorance creates the desire in him to “preserve” southern society because his view is and has always been that black people are not “ready” to take on the freedoms being offered to them. Another era of reconstruction was upon the South at this time and people feared how much their society was to change yet again faced with black empowerment, 100 years after slavery had been abolished. Although I loved Atticus less for it, I am glad Harper Lee have him a daughter who inherited the better parts of him. Scout is not a racist, because her father never taught her to differentiate between black or white. Jean Louise is effectively “colour blind.” This suggests that Jean Louise’s children’s generation should have all trace of racism squashed out of them, if their parents had been raised the same ways as Atticus raised his daughter. We know, of course, that in real life this was not the case. This was a beautiful, albeit different novel which gave insight to life in the postbellum South. It was one that made me think, and I loved going back to long-loved characters. I will never be able to read To Kill a Mockingbird in the same way ever again, but I think the way Atticus’s whole character in that first novel is actually just his child’s perception of him is genius. Harper Lee strikes again.